On Wednesday, May 18th at 11am, Senator Connie M. Leyva (D-Chino) was joined by hourly workers, labor leaders and legislators to advocate for a bill that will restore balance for millions of California workers affected by the rising prevalence of fast-changing work schedules. 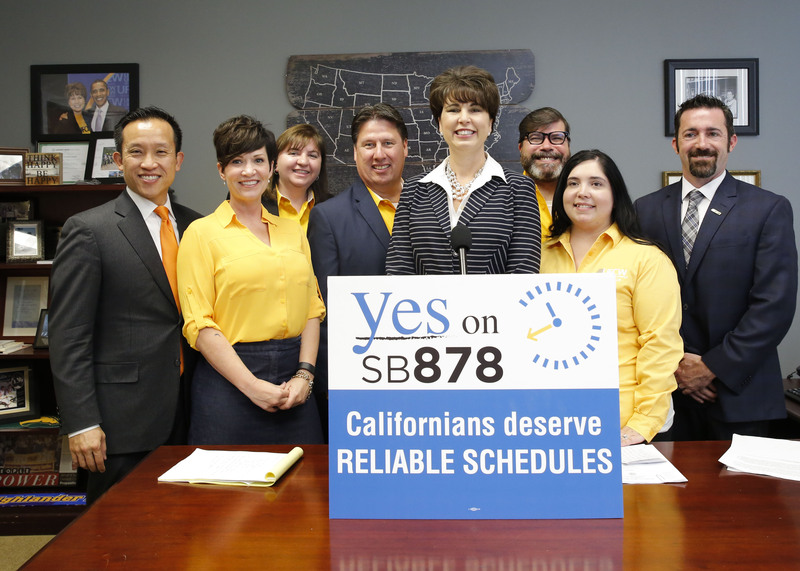 SB 878—the Reliable Scheduling Act—will provide hourly workers in industries like retail and restaurants with one-week advance notice of their upcoming work schedule. This bill will enable workers to better plan childcare, attend college or hold a second job, as well as know how much they will have to pay their bills. These affected workers are disproportionately women, workers of color, immigrants and the young. The rising prevalence on constantly changing computerized work schedules has disrupted the lives of millions of our nation’s most vulnerable hourly workers—a group that is disproportionately women, workers of color, immigrants and the young. SB 878, the Reliable Scheduling Act, will allow hourly workers in industries like retail and restaurants to plan childcare, attend college or hold a second job. The California Labor Federation and the United Food and Commercial Workers Western States Council are cosponsors of this important bill.